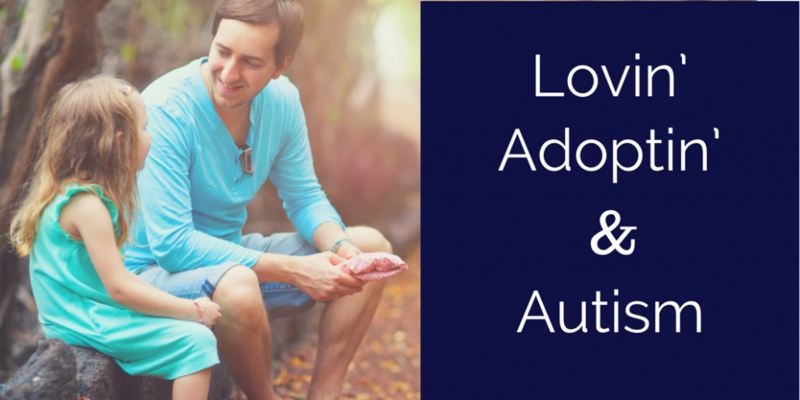 what does your adopted or foster child need? What does your child need right now? Do they need a pacifier longer than other kids? Does holding them, feeding them a bottle, comforting them like nothing else? Does your older child still come into your room at night, frightened by a noise, a nightmare, or nothing at all, they just want to be near you? Does your child sit and rock in a toddlers rocking chair even though he’s far too large? Because wouldn’t it take far too long to explain where her child came from, what eases his stress, or what he needs that he didn’t get in his first years of life? Adding in the question, would people really understand if we told them our child’s story? I do share my children’s stories when not within ear-shot of them, because I feel others need to know what life is like for children who are abused and neglected. They need to know about children in orphanages in other countries, the ones who had to fight for a place in line, a blanket to sleep on, a pencil to draw with, and food to fill their bellies. They need to know about the children in foster care who need them. Because of all our children went through, they need different parenting, which is laid out in most of the posts where I write about foster and adopted children. We don’t need to worry about the advice of others who didn’t raise a hurting child: Don’t put her in the swing to fall asleep, she’ll get used to it and she may never fall asleep without it. Isn’t he far too old for a bottle? She should be out of pull-ups by now. Why is he sucking his thumb, that’s really not appropriate for his age. Why do you still allow her to _______? Why doesn’t he ________? 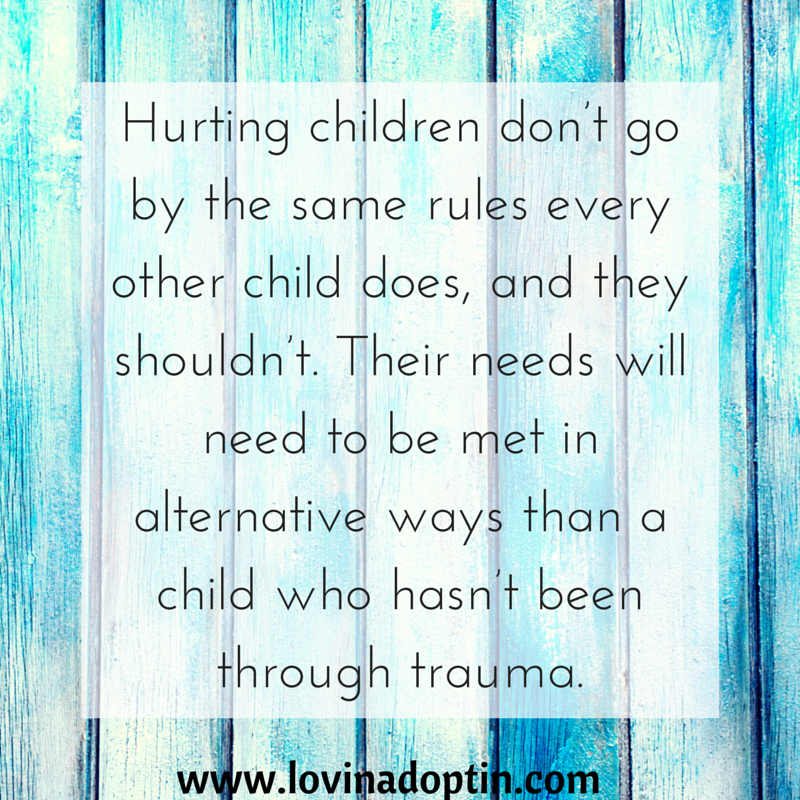 Hurting children don’t go by the same rules every other child does, and they shouldn’t. Their emotional age and chronological age most likely won’t line up, and we can’t force it to do so. Because of this, we meet them where they are. They’ll also need something different, their needs met in alternative ways than a child who hasn’t been through trauma. So, do what you need to do, and don’t feel bad about it. My son, Jeremiah, loved being in the baby swing when he came to us. His life had been tumultuous and frightening before he came through our door. The place he was happiest (which still included a lot of crying) was in the baby swing. People said, he’ll get used to swinging all the time, and you’ll never break it. It’s comments like this that make adoptive and foster parents second guess themselves. Oh, gosh, what if? What if we can’t go anywhere without the swing? Well, for a while we didn’t go anywhere without it. My parents purchased a swing for when we visited them on weekends, and if we went somewhere else overnight, we took the swing with us. You work through it, and eventually, Jeremiah stopped needing the baby swing. It turns out that he has Autism and sensory processing disorder, so that may have been part of why he needed that continuous swaying motion. Now, he has a big-kid swing in his room, and swings outside, as well as a trampoline. He also has a trampoline for indoor use in the winter. We may never know what’s going on with a child, what their true needs are. I’m glad we used that swing until it was falling apart. It saved my son from pain, and us from misery. I received a comment on my post about sleep issues, the mom said her nine-year-old wanted to sleep on their floor. First, they’d recently moved, and this can be very disruptive for a child who has a traumatic background. The child may have gotten used to their new home, thinking this was finally permanent. They’ve had enough of moves, and living where nothing was their own. Now, they have to pick up and leave it again, and although the parents are with them, it’s still terrifying. They don’t know what to expect, so they’ll need extra reassurance that everything’s okay. They’ll take steps back, probably big ones, but you’ll likely recover a lot faster than you did before. Second, as for allowing a nine-year-old to sleep on your floor…if it’s not wreaking havoc, let them. If they’re afraid, and need that closeness, let them be near you. (Foster parents won’t be allowed to do this.) I would suggest if your child is having sleep issues to read Why Adopted and Foster Children Have Sleep Issues and How to Help Your Adopted/Foster Child Sleep. If you follow the advice in the above posts, relatives and friends, even you, may wonder why your child needs you to be in their room until they fall asleep, even when they’re nine or ten-years-old. The answer? Because they need you. They need you to be their safety net. For children who are angry and push you away, which is also common, people will ask questions about that too. Your child needs time, they need your reassuring voice and actions reminding them you’re there. It may take a long time before they seem to need you, but trust me, they need you even if their actions don’t convey it. For those who are being pushed away, and feel unwanted, I’m right there with you. My daughter, Payton, did that to me for years. It was hard, really hard, but I kept at it, showing her I loved her NO MATTER WHAT. No matter how she treated me, no matter what she said, no matter what she thought…and it paid off BIG TIME. Now she wants to be with me, she wants to know why I’m not going on an errand with her, her brother, and her dad, she wants me there! She wants to dress like me, wants me to be in her classroom, and eat lunch with her at school. 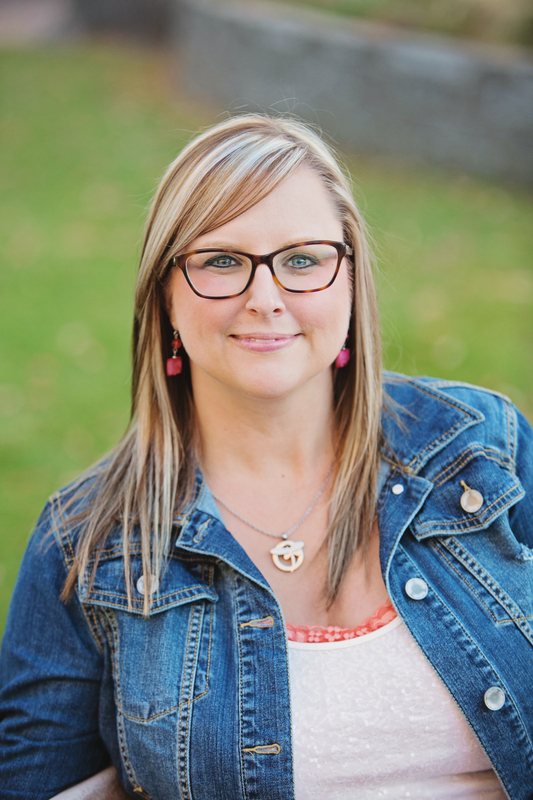 Because of Payton’s strong will, the aftermath of hardship LINK, we do things differently. We’re looked at, we’re questioned, but then we are used to it because our life’s been different since we brought Payton, and then Jeremiah into our home. Trauma and Autism need different parenting, and we do this. Every day. It’s what makes our kids flourish and our lives work. What does your family do differently than others? What do people say when they see you treating your child differently than they expect? You can receive each post made to Lovin’ Adoptin’ by subscribing in the upper right corner. If you’re on a mobile device, you can do this on the web version. You can also like my page on Facebook, and follow me on Twitter and Pinterest for more helpful information and links. 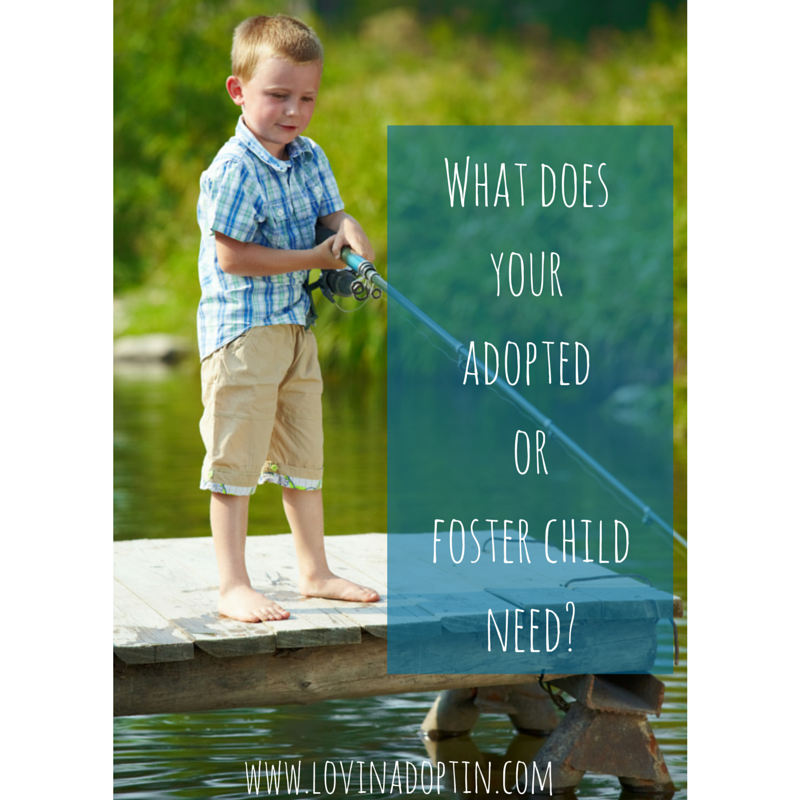 This entry was posted in adoption, foster care and tagged adopted child's developmental age, how to be a foster parent, parenting adopted chlidren, what does my adopted child need?, what does my foster child need?. Bookmark the permalink. My daughters need to sit on my lap at times and just have me rub their back and say nothing at all. My oldest is 14 and is as attached to me as she can possibly be, she has RAD, but will still sit on my lap on occasion and considering she is a full four inches taller then me it gets tough but no way I won’t do it. My youngest is on the spectrum and needs me to hug her every single day and to sit on my lap at least once a day. Both need regular reassurance that both their first mother and I both love them dearly. That’s wonderful, I can hear the love both you and Shelley have for your children and it really brightens my day. Our son needs us. He’s 18, been ours for a little over 2 years, but he still needs us even as a young adult. Specifically, he needs me. I am his mother, the only one he has ever had – his words. He turns to me when he is having a hard day, he looks for me at times when we are in crowds or someplace new, and he comes to me for hugs. Many who don’t know our journey don’t seem to get it when I say I have to go at a moment’s notice because he needs me. Others can’t understand why I won’t go out of town, even for a day, because I have to be available for him. That’s ok, it’s my family and my choice. We know what works for all of us regardless of what others may say or think. Mothers of his peers have said things like he has to learn to be thankful for having a family who loves him or that he should realize how lucky he is. Clearly they don’t get it. It’s not about expecting to get gratitude or thanks in any form. It’s about being a family who is complete because he is our son. Like you, I sometimes try to explain to those who make comments or ask questions but there are many times I just let it go. We are in a different position because our son was in this community long before he was our son. Many in the community think they know him because his past with his birth family was well known (ironically we didn’t know anything of his past) and for that reason they think they all still know him. When faced with comments from those who think they know him, I clearly point out that he is not that child and often point out that he did what he had to do to survive. I also stress that if they think they know him, they should spend some time with him because he is an amazing person. It’s so awesome you are there for him, exactly how he needs you to be. There are some whom I’ve met who won’t, so this is wonderful to hear. I also like how you try to explain to others “who” he really is.